Need some Easter gifting inspo? 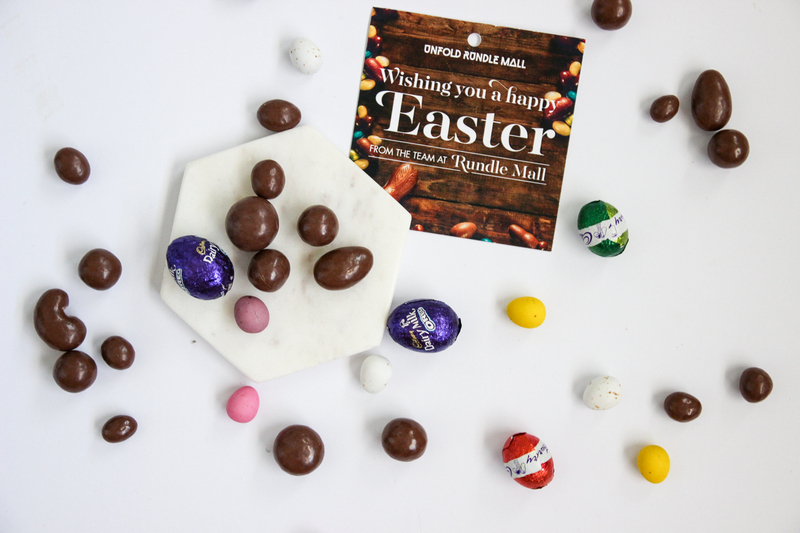 Rundle Mall is really amping up the Easter celebrations this year, with delicious activities and competitions running from now until the end of Easter weekend. Gourmet chocolate retailers Haigh’s Chocolates, Just Bliss, Koko Black and Charlesworth Nuts have lots of fun gifting ideas, like the Gin & Tonic Easter Egg from Just Bliss or the Egg-travagent Easter Combo from Charlesworth Nuts. 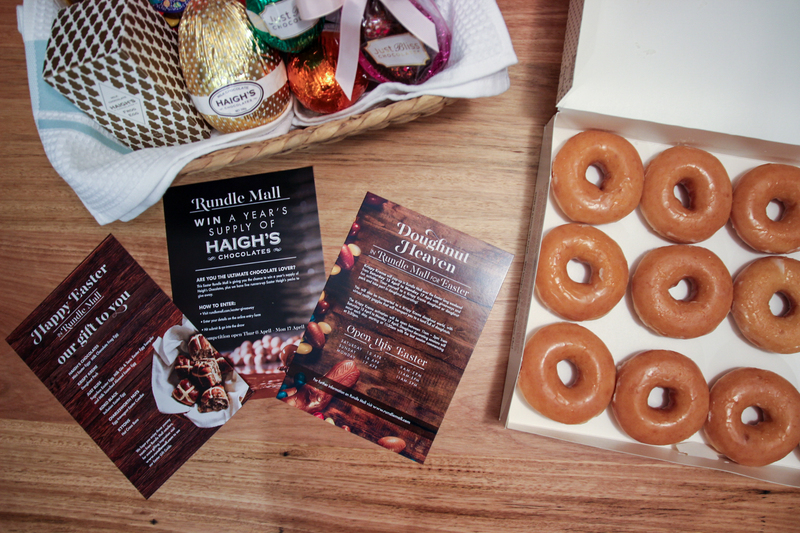 Krispy Kreme will be popping up in Rundle Mall over the Easter long weekend, where you can decorate donuts, visit the virtual reality donut world and try your luck with some of the giveaways. Head past between 11am-3pm Saturday 15th April to Monday 17th April to indulge in some decadent donut treats. Fancy winning a year’s supply of Haigh’s Chocolates? Click here to go in the draw to win this delicious prize, or one of the five runner-up prizes of Easter Haigh’s packs. Rundle Mall will be open 9am-5pm Saturday 15th April and 11am-5pm Sunday 16th and Monday 17th April. To view the full Easter Gift Guide, head to their website here.